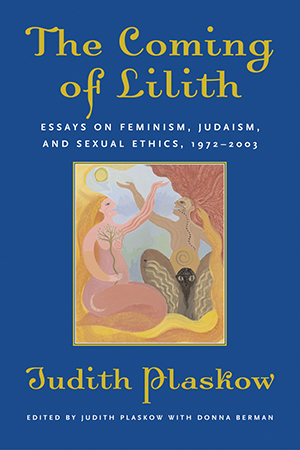 This first collection of Judith Plaskow’s essays and short writings traces her scholarly and personal journey from her early days as a graduate student through her pioneering contributions to both feminist theology and Jewish feminism to her recent work in sexual ethics. Accessibly organized into four sections, the collection begins with several of Plaskow’s foundational essays on feminist theology, including one previously unavailable in English. Section II addresses her nuanced understanding of oppression and includes her important work on anti-Judaism in Christian feminism. Section III contains a variety of short and highly readable pieces that make clear Plaskow’s central role in the creation of Jewish feminism, including the essential “Beyond Egalitarianism.” Finally, section IV presents her writings on the significance of sexual ethics to the larger project of transforming Judaism. Intelligently edited with the help of Rabbi Donna Berman, and including pieces never before published, The Coming of Lilith is indispensable for religious studies students, fans of Plaskow’s work, and those pursuing a Jewish education.